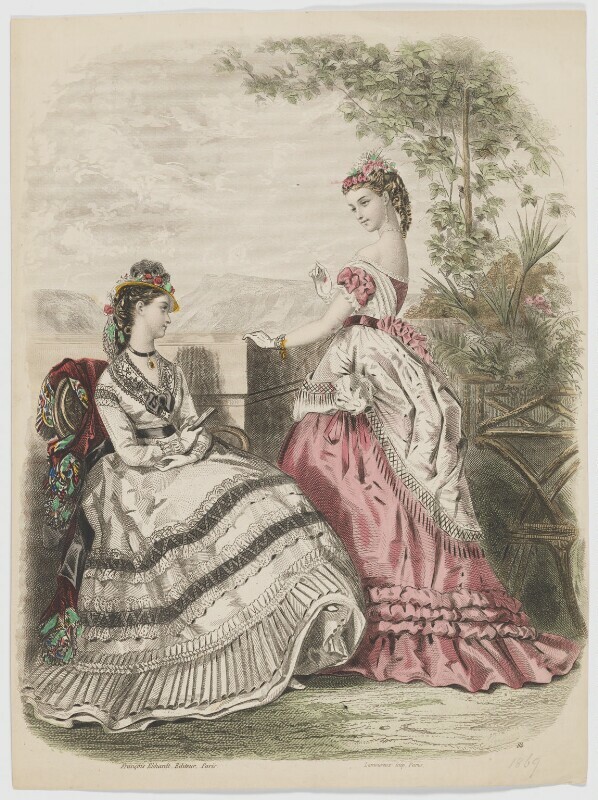 A new online resource to assist portrait and dress research has been created on the National Portrait Gallery website, utilizing the Gallery’s collection of engraved and hand-coloured fashion plates. One hundred years of mostly women’s fashions from 1770 to 1869 can now be explored by date, by garments, or by the magazine in which the plates were published, due to generous funding from the Ashley Family Foundation and the Idlewild Trust. A facility to browse by hundreds of different terms, including types of bodice, sleeve, headwear and fabric, is accompanied by glossary definitions, and the original plate descriptions explain many of the images. Fashion plates first appeared in periodicals in the eighteenth century and were heavily relied upon in the nineteenth as women’s magazines became more widely available, showing ladies and their dressmakers what fashionable society was wearing in London and Paris at different times of the day and for specific occasions. 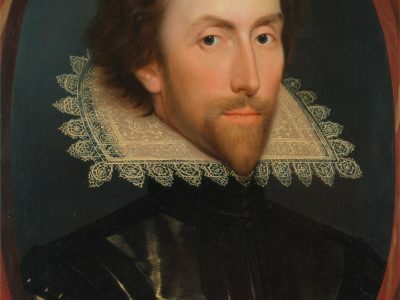 The National Portrait Gallery’s collection spans the century from the first crude, uncoloured etching published in The Lady’s Magazine in 1770, to the naturalistic compositions of the 1860s when the fashion plate had developed into a stylish conversation piece, shortly before colour-printing took over. It ranges from the detailed, high-quality engravings often imported from France for publication in British periodicals, to badly drawn, crudely-coloured copies from the cheaper magazines which brought fashions to a wider public. Part of the Gallery’s reference collection of prints and drawings, which supports the Primary collection and aids research, they provide an important insight into late-18th and 19th century dress, and are a valuable aid to the dating of portraits and understanding the range of dress depicted in them. Posted in Collections & Acquisitions, Online resources, Portrait News, Publications & Catalogues by author on July 31st, 2018.